Our Senior Pastor and wife, Gary and Barbara Keller, have served NLCC in this role since August of 1994. They are passionate about seeing the lost find salvation through Jesus Christ in the city of Lancaster and around the world. 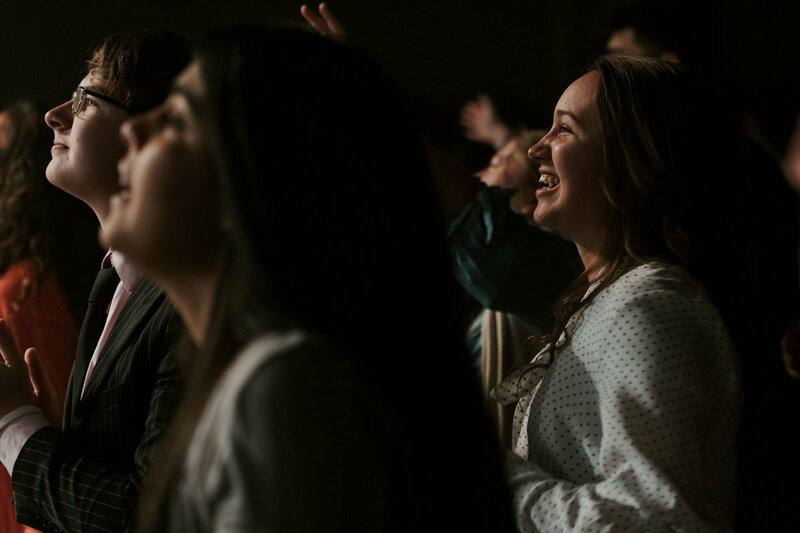 Since 1932, New Life Christian Center has seen thousands of lives changed by the Good News of Jesus Christ and that is still the mission of NLCC today. We are a Multigenerational, Multiethnic, Spirit-filled Church affiliated with the United Pentecostal Church, International (UPCI). It is our goal to be a place to belong for all people. Did you miss Sunday's sermon or would you like to share it with a friend? To subscribe to NLCC's Podcast, click on one of the links below. Our message is the Good News of Jesus Christ. Throughout time, our methods will change, but we will consistently and unapologetically teach and preach the message of Jesus. We believe our purpose is to share His Truth with our community and our world. People are why we exist. No matter a person’s story, we are a place for them to belong. We simply want every person to develop a relationship with Jesus Christ. Our heartbeat is for people to experience Jesus and find new life in Him. As the Church, we worship Jesus Christ in unity together. We are also committed to worshipping Him in our individual lives on a daily basis. A lifestyle of worship will give us the power to live victorious lives. We believe God does not desire perfection, but He honors excellence. We strive to be good stewards with the talents and abilities He has given each of us. We are on time, engaged, and prepared. We do not do things half-heartedly. We give our gifts back to God by using them to impact the Church and our community for His glory. We believe the treasure for which we are each entrusted does not belong to us, it belongs to God. Therefore, we give with a generous spirit from what He has given us for the purpose of impacting our local mission, as well as supporting our global commission. It is our privilege to give back to God what He has so freely given us. We believe strong marriages build strong families and strong families build a strong church. Our pursuit is to help everyone, no matter their age, find the purpose God has for their lives. When the family is strong, the church is strong. We serve first. Our identity is established in our responsibility to serve others to the best of our ability. The roles might look different, but they are all important because every leader and volunteer, from the parking lot to the pulpit, is a servant first. That is who we are. We believe the greatest leadership position is to serve others first. Join with NLCC in giving to make an impact in Fairfield County and around the world.